There are currently 116,772 users on this website. As promised, here is some information about the other museum I visited in Ljubljana (The National Museum of Slovenia). The first group [of Celtic migrants] was initially (in the 2nd century BC) mainly limited to southern Carinthia in Austria and north-eastern Italy, while the coins of the second group, with only the horse, predominantly circulated in central and eastern Slovenia as well as in north-western Croatia. 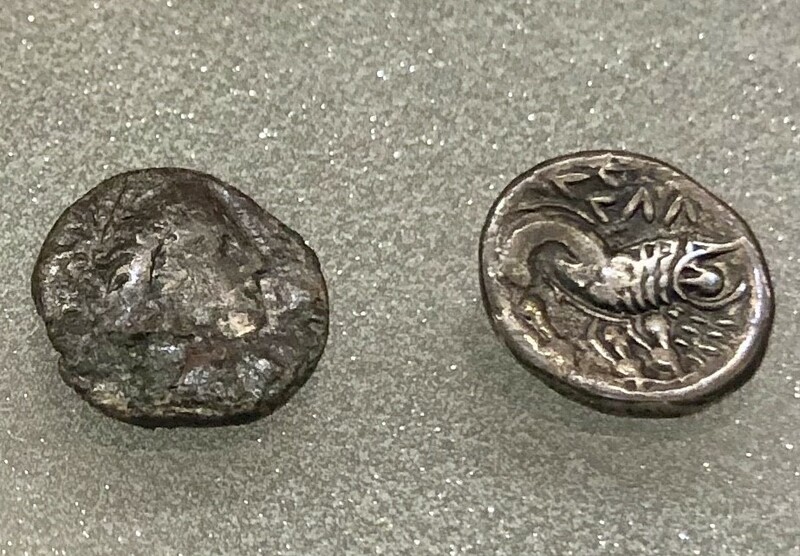 The coins of the first group bear legends in Venetic and later Latin, while only a limited number of the coins of the second group bear legends at all. 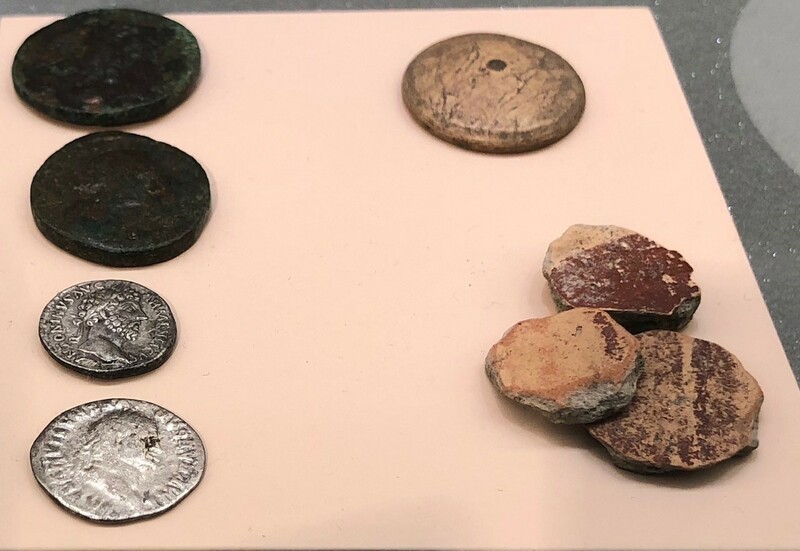 The coins of the first group have been attributed to the Carni and the Norici, those of the second group to the Taurisci. 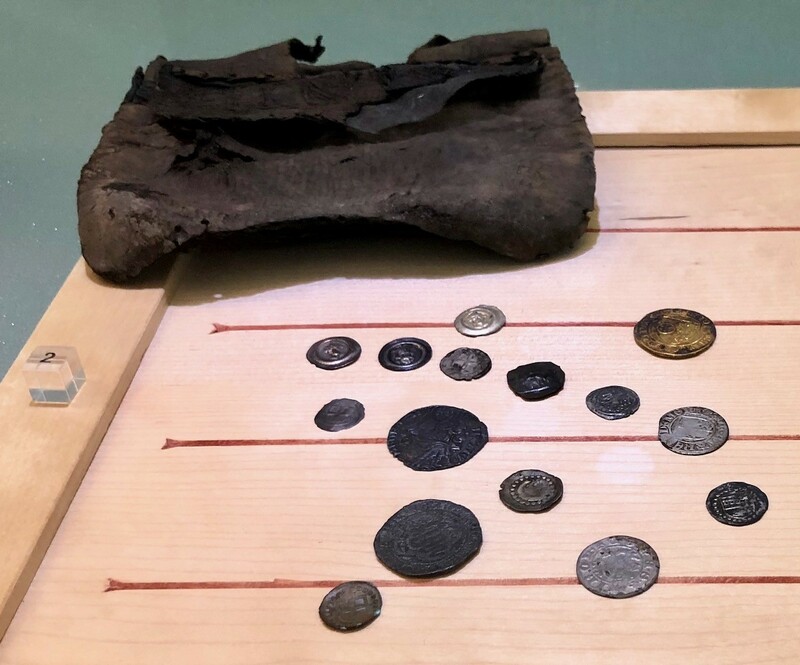 in the 1st century BC, the use of the coins of the first group spread to the area of Slovenia, which previously only used coins of the second group. 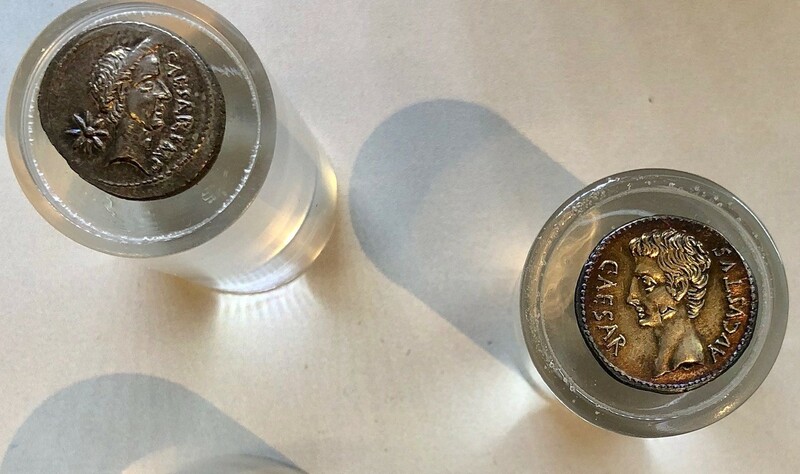 The hoards of coins show that, contemporaneously with the large and small Celtic silver coins, Roman Republican coins were in circulation in this period. 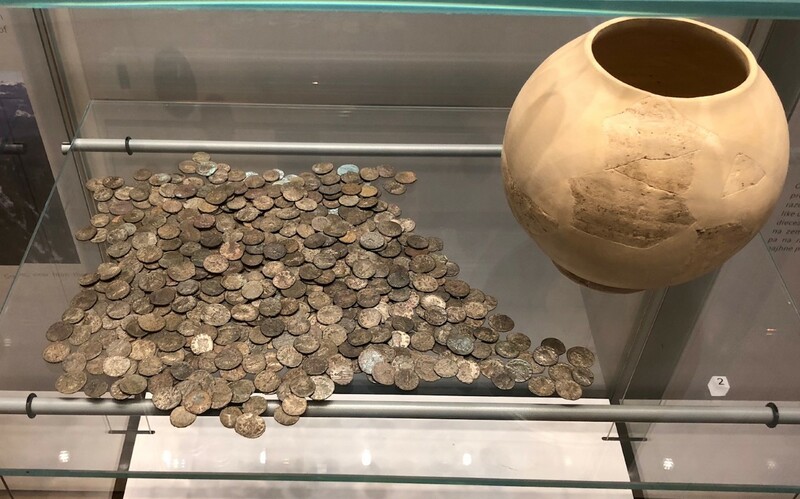 Here is a hoard of 3511 silver coins buried sometime after 273 AD. How would you like to stumble on something like this? I was pretty busy travelling last Fall and need to clear off some of the pics that I took, including visits to two different museums in Constance Germany. 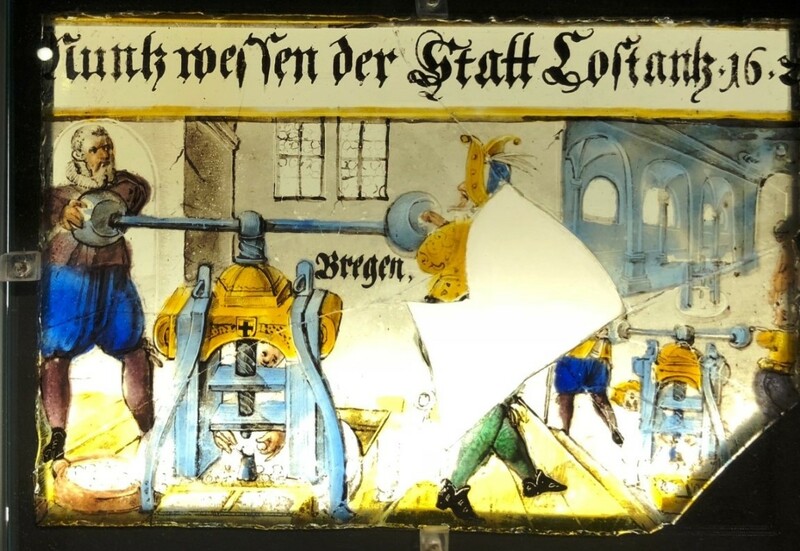 First up is the Archaeologisches Landesmuseum Konstanz. Non-flash photography is allowed. 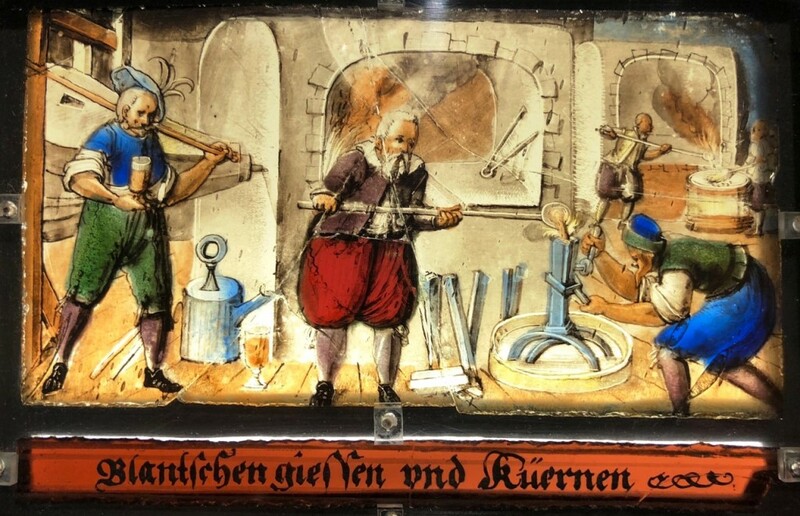 All signs are German-language only, but an audio tour in English is a free add-on. In 1905 a large treasure, hidden around 1390, came to light at 18 Rose Garden Street with around 1500 gold coins. 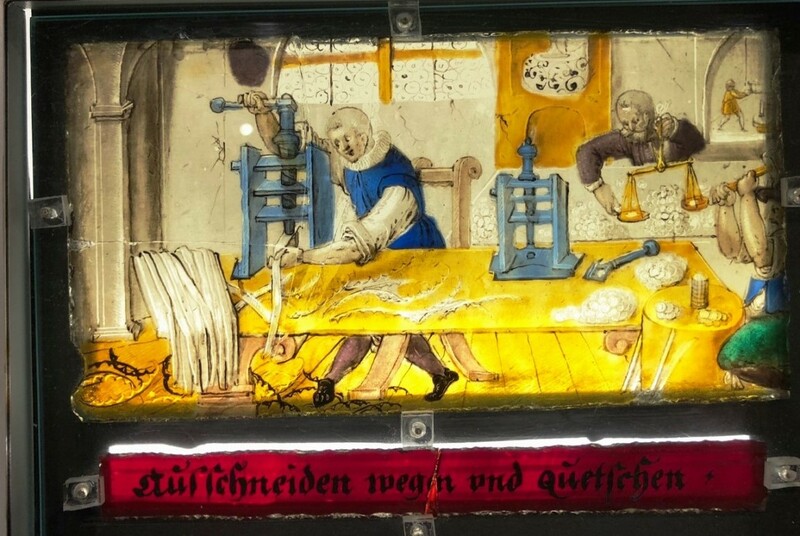 This location was the headquarters for a medieval merchant. 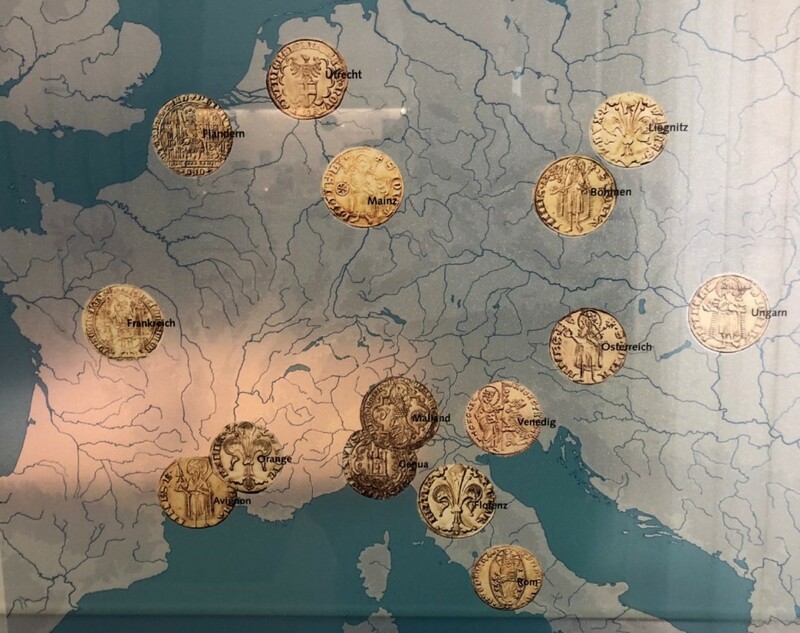 The origin of the coins showcases the main directions of the former Constance trade, namely the Bündner Passes to Italy, through central Switzerland to Southern France, along the Rhine River to Flanders, over Nuremberg to the Northeast, and along the Danube River to Austria and Hungary. There was a particularly nice display of pilgrim badges. 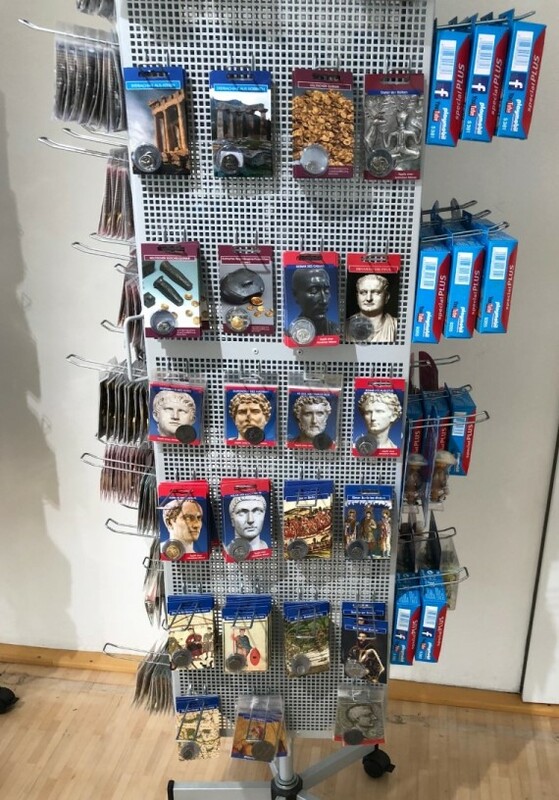 In the adjoining gift shop you can purchase copies of a variety of ancient and medieval coins. Sadly, none of these pieces are marked "copy" although the rough cast fabric of these pieces should be a giveaway as to their true nature. 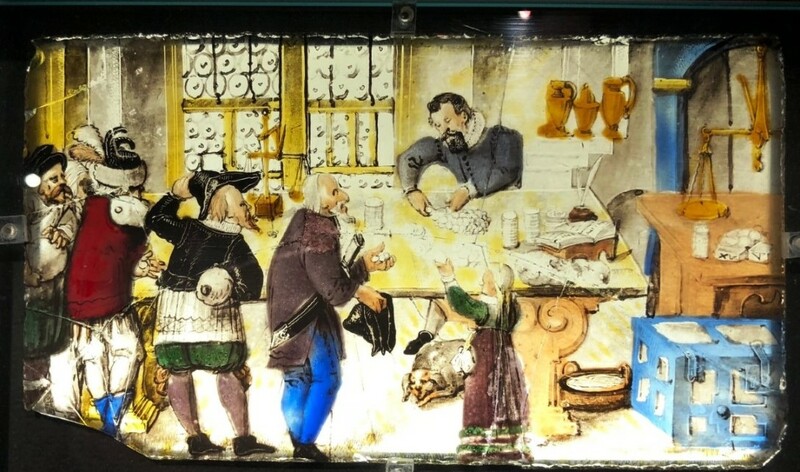 The Rosgartenmuseum (Rose Garden Museum) in Constanz is actually a much better choice for the traveling numismatist who finds himself or herself in Konstanz Germany. Non-flash photography allowed. All signs are German-language only. If you are typical thick-headed American like me who barely knows his Knie from his Kopf, I recommend that you take pics of the accompanying text. When you get back to your hotel you can enter the text into google translate to understand the nuances of what you have seen. Seems like there ought to be a translation app that works off of pics (not text). Please let me know if anyone out there knows of a good one. Being firmly uni-lingual is a real drag sometimes. 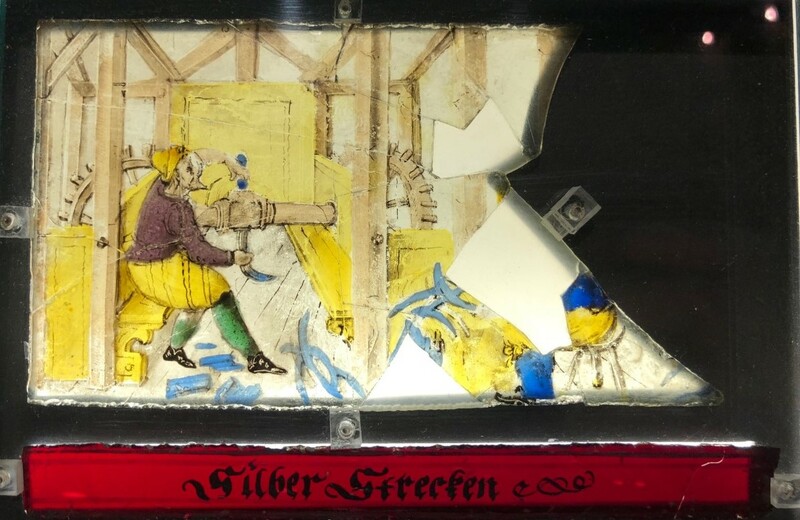 For me, the numismatic highlight of this museum was a series of colored glass panes dating to 1891, but with scenes from the 17th century coin making process. I've included them all below, with my best translations of the inscriptions (please feel free to recommend improvements as my gothic German is especially poor). 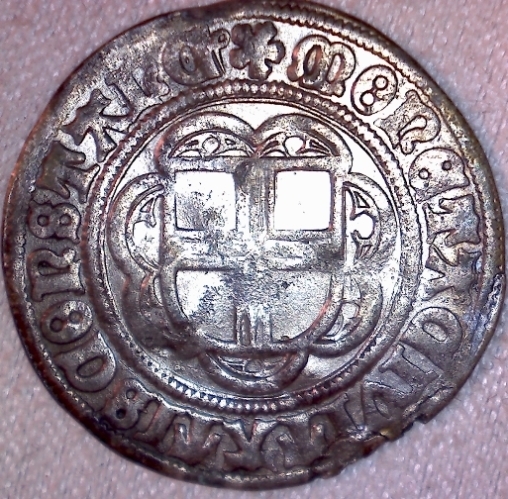 There are also multiple displays of medieval coins from Constance and the odd Batzen tucked in among other objects. 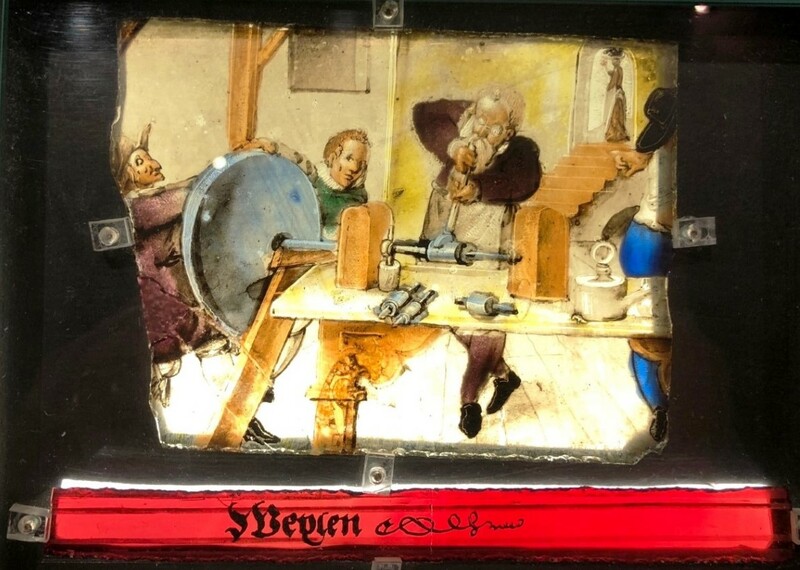 The display of medieval coin dies is very nice, although the lighting could be improved for those who are interested in seeing the fine detail. 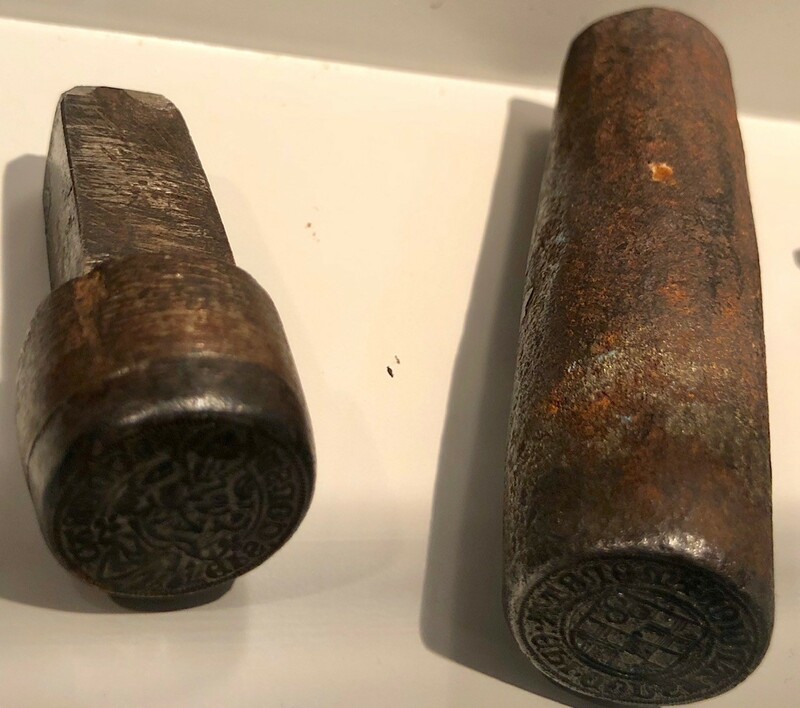 Several of the dies had a slight convex curve to them, perhaps to aid in coin removal following striking. As a bonus to visiting this museum is access to the vast accumulation of stones, mosses, fossils, and artifacts. 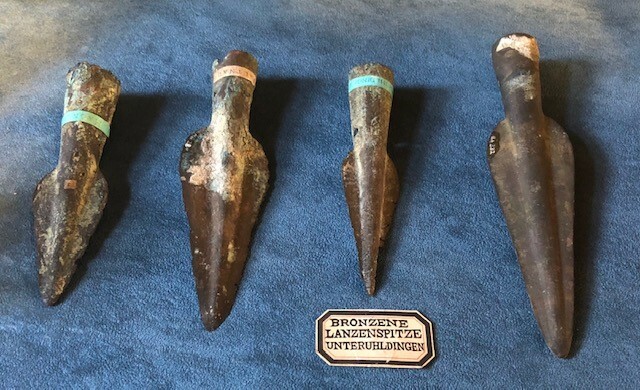 I have included a pic of some spearheads for @bobL as his collecting has recently gone in the direction of Parthian spearheads http://goccf.com/t/332703). 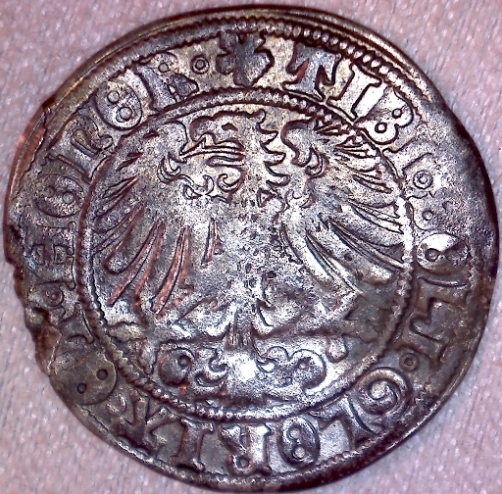 Lastly, I've included images of my oldest coin minted in the German Free City of Constance. 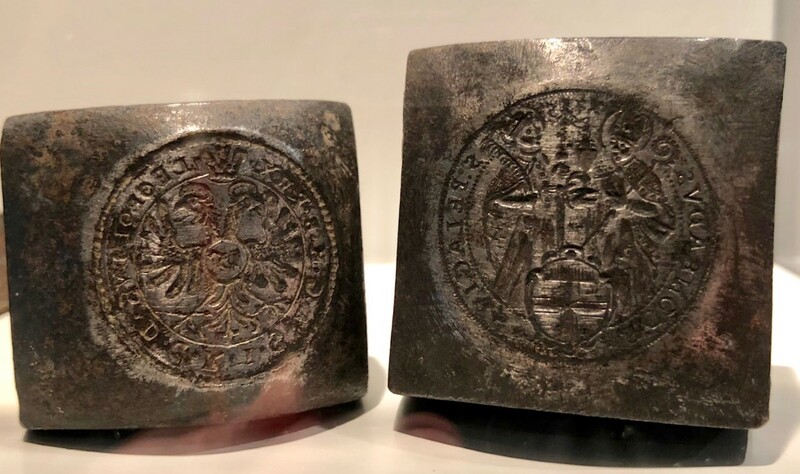 It is a Batzen that was struck between 1499 and 1533 AD and is attributed as Saurma 1614. 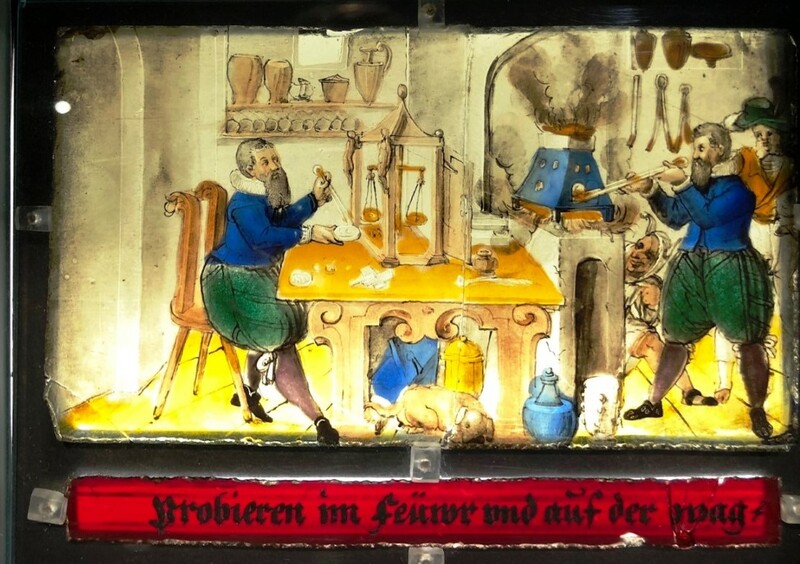 7: No inscription, but clearly this is a scene showing the dissemination of the finished coins. 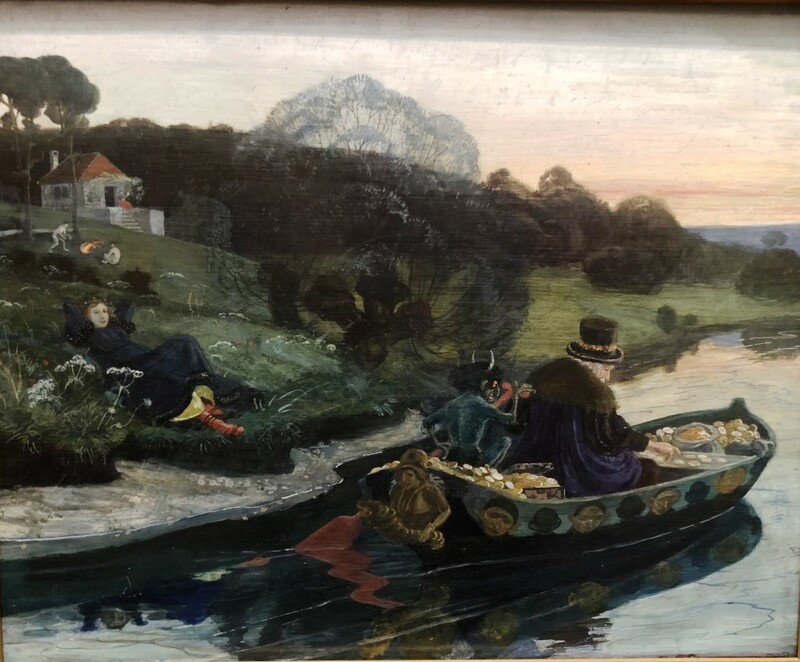 The Kunsthaus Zuerich (Zurich Art Museum) has lots of works of art in the genres of gothic, impressionism, cubism, and concrete art with Swiss dada thrown in for good measure. It is largely devoid of anything numismatic, with the sole exception of one painting showing a boat filled with gold and silver coins. Sorry but I didn't write down the painter--feel free to let me know and I'll fix this post to give proper credit to the artist. Non-flash photography is allowed. 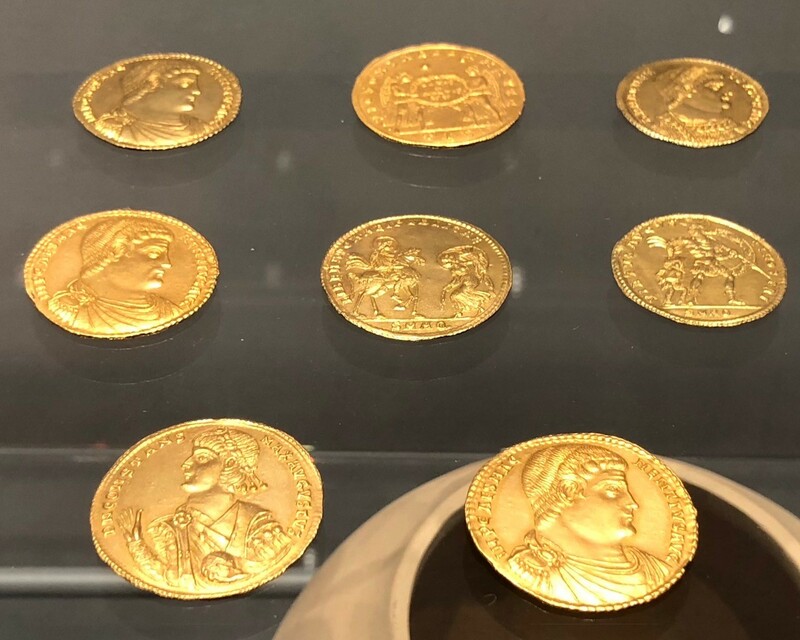 If you are in Zuerich and want your coin fix, the National Museum of Switzerland is about a half mile walk North from the Kunsthaus and much more fertile ground (as described in page #7 of this thread). Well done. Thank you for getting us all caught up. Seems like there ought to be a translation app that works off of pics (not text). Please let me know if anyone out there knows of a good one. The Google Translate app will do OCR from the camera for certain languages, German being one. Thank you for getting us all caught up. Not yet, but at least now I'm down to single digits. I guess I go to a lot of museums or something. There are so many interesting museums out there! very interesting description Spence !